Your corporate brand is shaped by everything your company does. More and more, even the smallest details of your company’s behavior are now plainly visible to the people you serve and the people you want to serve. Brands have always been defined by how a company’s public (customers, clients and prospects) feels about it. The difference for your company today is that you are no longer in the driver’s seat. When it comes to orchestrating the impressions that mold your audiences’ feelings about your company, you now have to share that influence with your customers. If your company is interested in polishing its brand (and you should be), you should seek to build an authentic relationship with your public. To do that, you need to be acutely aware of how your public regards you. You also need to understand how members of your public can contribute – individually and collectively – to your brand’s positioning. Beyond what you tell the marketplace with your advertising, websites, publications and through other “official” channels, how your public feels about your company can be profoundly influenced by your company’s behavior as a corporate citizen. For this reason, the causes and charities you give to should be considered as deliberately as any business strategy. Listed below are three tips to help you develop a cohesive philanthropic strategy that aligns with your brand, communicates your values and integrates seamlessly with your other branding activities. It’s easy to approach philanthropy on an ad-hoc basis, merely reacting to requests from nonprofits and employees. Most companies get more requests for donations than they could ever possibly fund. So too often, the result is a lot of smaller gifts spread across a large swath of charitable causes and services with no intuitive link to your brand. Instead, think about what you want to accomplish as a donor. What conditions in your community do you want to see improved, and how can you be a legitimate force for positive change? I suggest identifying 3 or 4 areas where you want to focus your giving. At one financial services company where I was engaged, our overriding giving mission was to improve the prospects for financial self-reliance among people in the communities where we operated. For us, that meant focusing our gifts on education, particularly to improve financial literacy, and human services to support people and families in transition. 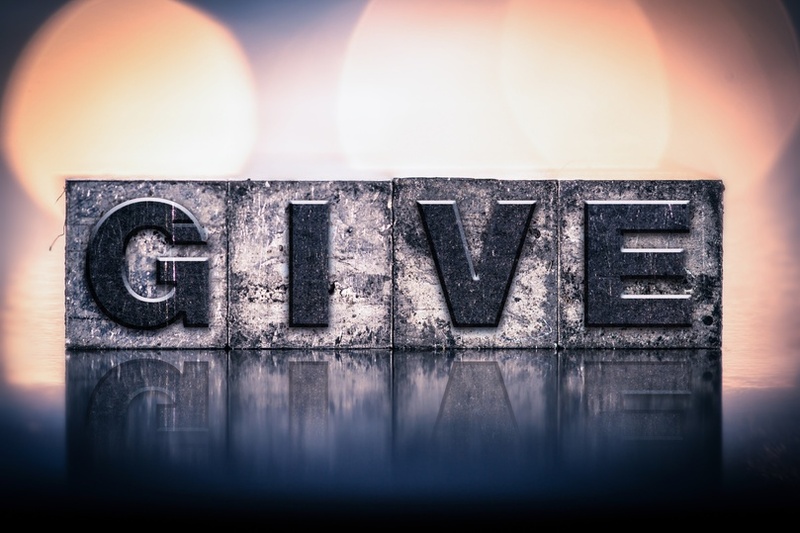 Please note that having a “giving mission” doesn’t preclude occasional gifts to nonprofits that don’t fit in the category(s) you’re focused on. Your budget should have room to support special requests and local or business-specific giving opportunities. As a donor and corporate citizen, your philanthropic activities should align with your company’s business mission and expertise – areas where you have a uniquely well-informed perspective on relevant issues and their solutions. Nike provides a perfect example. The global athletic shoe and apparel company gives generously to fitness related programs all over the world. The connection between what the company does and the causes it supports is clear and common sense. Importantly, it also serves an important and widely recognized public health concern: improved health through improved fitness. Your donations should honestly reflect your company’s wisdom and values. They should also avoid controversy. Unless you are known for taking bold stands on divisive issues, don’t consider causes that might inflame of alienate your public. Get your employees and your customers involved. Support and incentivize your employees with paid volunteer time. Share good news about the accomplishments you are helping to fund and implement. Getting your people involved with the causes your company cares about can make a big difference in their engagement. Employees who are invested in what your company stands for are much better brand ambassadors than employees who simply know what your company does. The same goes for customers. Look for ways to partner with the nonprofits you support. Yoplait Yogurt has done an exceptional job in support of the Susan G. Komen Breast Cancer Foundation. Through philanthropy and cause related marketing, Yoplait has brought heightened awareness to a vitally important problem. At the same time, they have reinforced their brand positioning as a company dedicated to improved health for women and their families. In this season of giving, I hope your company is in a position to give generously to the causes you and your constituents care about. By giving strategically, with purpose, intention and inclusion, you can really make a difference. The fact that doing so can also brighten your brand is, well, icing on the Christmas cake. What companies do you admire or patronize because of their charitable activities? Are there certain companies who do a particularly good job of integrating their business and charitable activities? How does your company use its charitable activities to help distinguish itself in the marketplace?